I like that photo at the top, it reminds me of that wish I had as a child, to be able to fly, that I mentioned in a previous Colour Collaborative post last July. It also looks like it was taken late on a nice warm summer's day, I love that slightly yellow tinge to the sky. And I just had to include the fellow below when I found him, isn't he striking? I'm not a great authority on birds, although I do remember that we did have a phase of birdwatching when I was younger. The chief attraction of which was being able to have a go with the 'big binoculars' as I remember. The garden of my childhood home backed onto some woodland so you could get a glimpse of a satisfying variety from the comfort of the dining room window and there was a time when I could identify a fair few of them. It's something that's become a little bit more of interest again of late actually. It seems the natural thing to do, as a parent, to point out things of interest and attempt to educate your offspring whenever the opportunity arises. It was certainly so when I was a child, birds, trees, farm equipment, historic houses and geological features to name a few would all be pointed out and discussed. So, to do the same for my daughter, I've felt the need to make sure I remember my goldfinch from my greenfinch. As a result I've been finding the RSPB's website handy for identification. 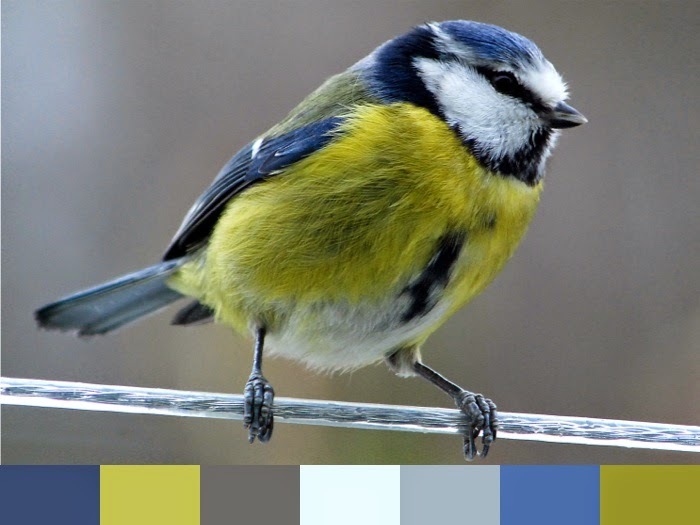 It's amazing the amount of colours that can be found in the world of birds. Interestingly they've even inspired a range of yarns. I came across West Country Spinners range of yarn inspired by British birds when Dani of Little Bobbins knits was talking about it on her podcast. I'm loving socks at the moment so I'm kind of tempted a bird inspired pair, but how to decide which one to go for? What is The Colour Collaborative? 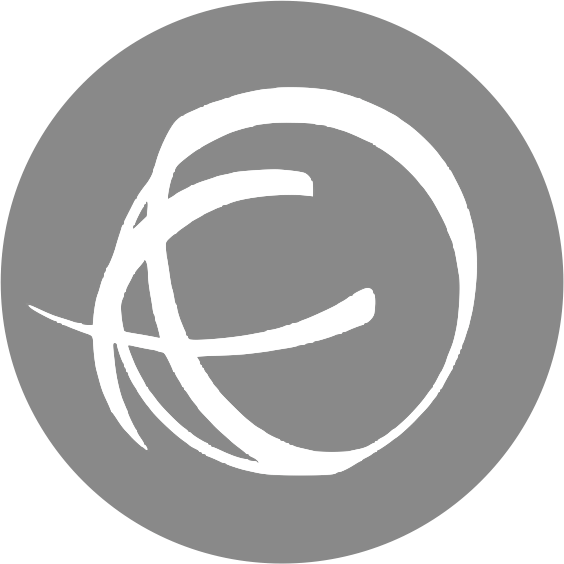 All creative bloggers make stuff, gather stuff, shape stuff, and share stuff. Mostly they work on their own, but what happens when a group of them work together? Is a creative collaboration greater than the sum of its parts? We think so and we hope you will too. We'll each be offering our own monthly take on a colour related theme, and hoping that in combination our ideas will encourage us, and perhaps you, to think about colour in new ways. 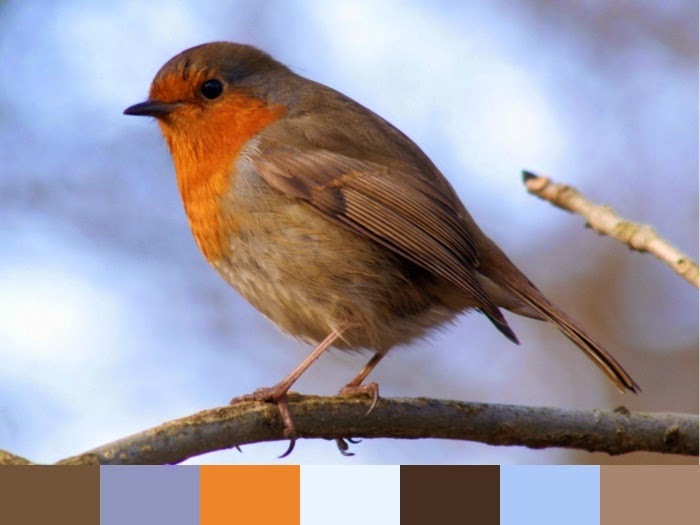 You shared some of my favorite birds: eagles, blue jays, robins! Love them! And the colorways coming from them. Now I just need to find the right colours!! 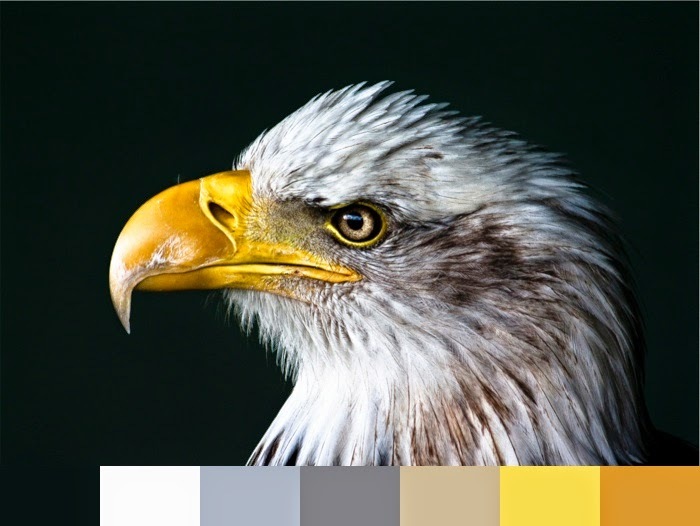 Aren't bird colors beautiful? I've always liked them. It seems like nature really knew what it was doing when it designed a bird, from form to function. I love to watch birds flying too, even the birds that don't fly so well, like my hens. 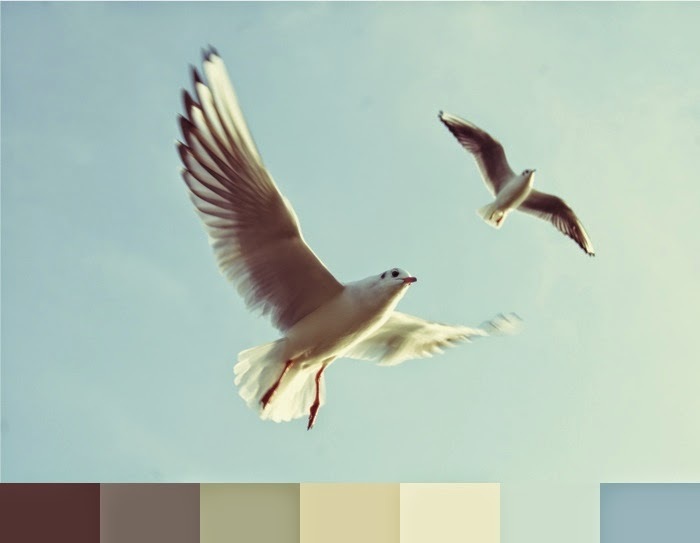 Thanks for these beautiful photos and color palettes, they're inspiring. brilliant to base some yarn on the colors of birds....can't miss. love photos. Your childhood wish reminded me of the laughter my younger cousin was the cause of when he was small. He had wished he was a bird so he could poop on people.